Sports they say is a great leveller. It can bring the privileged and the underprivileged on the same platform to compete with each other in true spirit. Sports can very well be used as a tool for social inclusion and to bring about a social change. Some anecdotal evidence suggests that when applied correctly, sport can create bridges where boundaries usually exist, giving participants a lesson in teamwork, empathy for their teammates and respect for their opponents. It helps develop a strong sense of morality; and the development of an appreciation of diversity. Sport is clearly not just about competition and exercise, but also regulates behaviour and creates a feeling of belonging, which in turn leads to the strengthening of democracy. Singing Footsteps Foundation (SFF), is one such organisation in Patna, Bihar that is trying to bring about a social change through sports. The organisation started by Toni Sharma, a professor at NIFT and currently pursuing PhD (ECONOMICS) at IIT aims at bringing about true equality in human lives as well as balance in the ecology, using sports as the driving force to bring together the youth and achieve the social balance. Sharma is a strong proponent of an egalitarian society, a philanthropist and a social activist at heart. 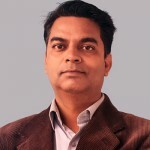 He also mentors startups and advises various incubation centres. His idea with SFF is to showcase and effectively address the most burning and plaguing issues of our society at a large scale, on a single platform. He says, “Our vision is to bring about social change by harnessing the power of youth and sports. We are constantly focusing on social changes through innovative strategies. We believe in the intent backed by invention”. So what does SFF do with sports? 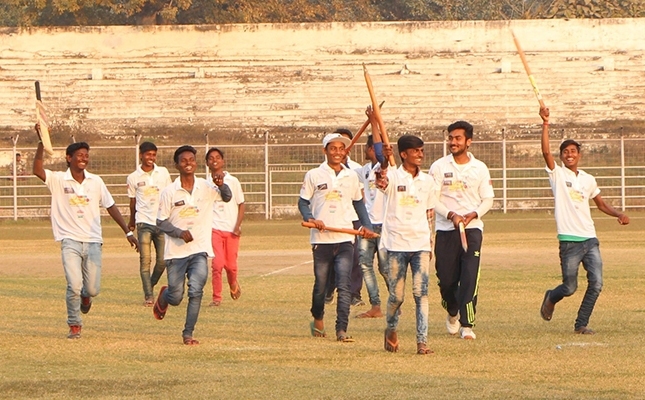 It has started a league cricket game called ‘Social Premier League’ (SPL), to bring together the virtues of sports to fight the inequities of the society.SPL is a cricket tournament involving the entire youth and corporate fraternity to effectively spread the message of social integration and awareness. It is an initiative that endeavours to bring together the youth from all backgrounds in a relaxed and natural environment that are ideal for harnessing the power of sports to engage communities and change lives. This year’s SPL that was held at the beginning of this month included Autorickshaw drivers, slum children and, girls and boys of premier colleges. By way of the cricket tournament, SFF has been able to bring about a behavioural change among the auto drivers such as being more responsible on the road, minimising honking etc. “We have seen a tremendous change in the attitude of the auto drivers since they have been playing this tournament. They have developed empathy and we realised that we can create awareness about lots of issues along with them. If we enable them with the right tools they can help us in disseminating information and creating awareness,” says Sharma. As participation in the league tournament, each of the auto drivers teams was also asked to pick a social cause that they would like to create awareness about. The two issues that the auto drivers were keen on creating awareness about was Cancer and Malnutrition. They carried messages on these issues in their auto. SFF is now working towards a financial inclusion of these auto drivers by opening bank accounts for them and after this, they will conduct health check-ups for their children and family as a whole. “We believe that to make a significant contribution we need to employ the best of youth to uplift those at the lowest rung of the society. We believe in concentrating on the weakest. We believe in mutually beneficial relations that help us raise resources in a way that others can’t. And yes, we don’t settle for the second spot, in order to give the best to those who need our help the most,” Sharma concludes. As a company, GOQii has been supporting several causes through its Karma Platform. As part of our ongoing efforts to do good karma in the society and get our players to do the same. Supporting SPL and SFF is one such initiative in this direction. GOQii believes that giving to others gives an inner happiness to one while also improving one’s own health.